Symptoms of stress could be impacting your life – even though you might not even know it. 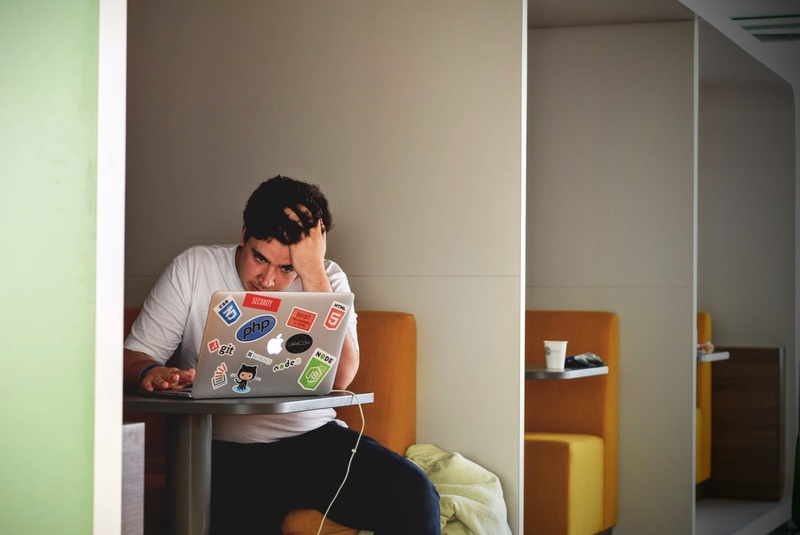 It’s easy to find excuses to account for things like headaches, insomnia, or a decrease in productivity, but these issues could actually be triggered by an accumulation of stress. Left unchecked, stress can contribute to a number of health problems, including heart disease, high blood pressure, diabetes, and even obesity. However, there are some natural ways you can deal with stress, to keep it from becoming a health hazard. If you can take steps to minimize your stress and manage it properly, you won’t have to rely on pharmaceutical drugs to treat the conditions that could creep in because of overwhelming stress. These natural techniques are a great way to manage stress and learn to relax. This can be super challenging if you’re dealing with insomnia, but a lack of sleep can actually increase the levels of stress hormones in your body. Prioritize getting eight hours of sleep no matter what – even napping throughout the day, if you need to. If you’re struggling to fall asleep or stay asleep, you might need to take a look at what can be contributing to your insomnia and address that. Chances are, though, that by incorporating some of the other stress-busting tips on this list, you’ll be able to rest easier without the weight of all that stress. Relaxing in a steam shower, sauna, or even just in a hot tub can be a great way to manage stress. The heat from a steam shower will physically relax your body and promote a sense of well-being that is hard to get anywhere else. Steam can also help regulate your breathing. Deep, slow breaths have a huge impact on resetting your body’s natural stress response, so focus on your breathing while you’re inhaling that healing steam and let it work its magic on your body and mind. Reaching out to friends, family members, and other loved ones is one of the best ways you can unload whatever might be causing you grief. Your community of allies are one of the best tools you have for improving health and wellness, and having someone to talk to when you’re feeling anxious, worried, or overwhelmed can make a huge difference in reducing overall stress level. If you can, spend time with people outside, doing something active. Sun and exercise are also great stress-busters, so if you can combine these three things together, you’ll be well on your way to solving stress management issues. You’re probably busy juggling an active home life with a busy career. Usually, when that happens, we end up neglecting the most important people in our lives – ourselves. Carve out a bit of time to do the things that make you feel good, whether that means getting crafty, playing an instrument, or even just practicing meditation. If you don’t already have a hobby, this is a great opportunity to get to know yourself better. Get out and try some new things! Take an art class, try a new sport, or commit to learning a new language. Just make sure you’re spending a little time each day doing something you love. If none of these work for you, it’s possible your stress could be caused by an underlying biological issue. Things like mercury toxicity, deficiencies of vitamin B12 or magnesium, or allergies to gluten could be contributing to your body’s stress level. Take a look at making some changes to your diet, or adding a supplement to try and correct these imbalances and see if that helps you relax and destress. Taking care of your body means taking care of your mind. With these tips and tricks, you’ll be able to deal with your stress in natural, healthy ways – keeping it from building up and becoming a real threat to your physical and mental health. Make sure you take time out of every day to practice some of these stress reducing techniques, so that you’ll always feel refreshed and ready to take on whatever challenges the day may bring.